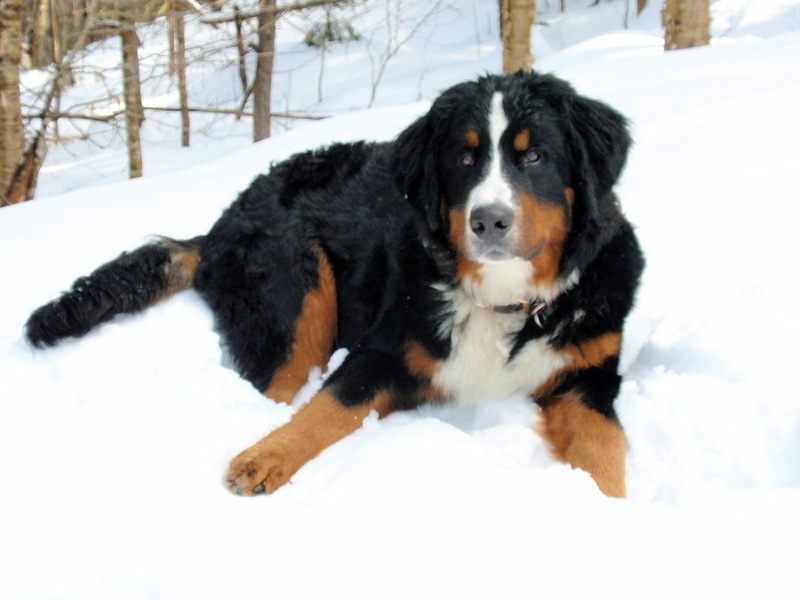 Bernese are all-purpose working farm dogs. We place our puppies with forever families who will provide the daily mental and physical stimulation that this breed deserves to thrive. Stella doin' the doggie paddle! Finn (Loui x Faith, 2011) in the leaves! Dakota (Loui x Faith, 2011) hanging out in the leaf pile! Hans & Claire at Watchung Fall draft test, 2004, chaired by Claire Coppola, Duke Island Park, NJ. Hans is a Therapy Dog! 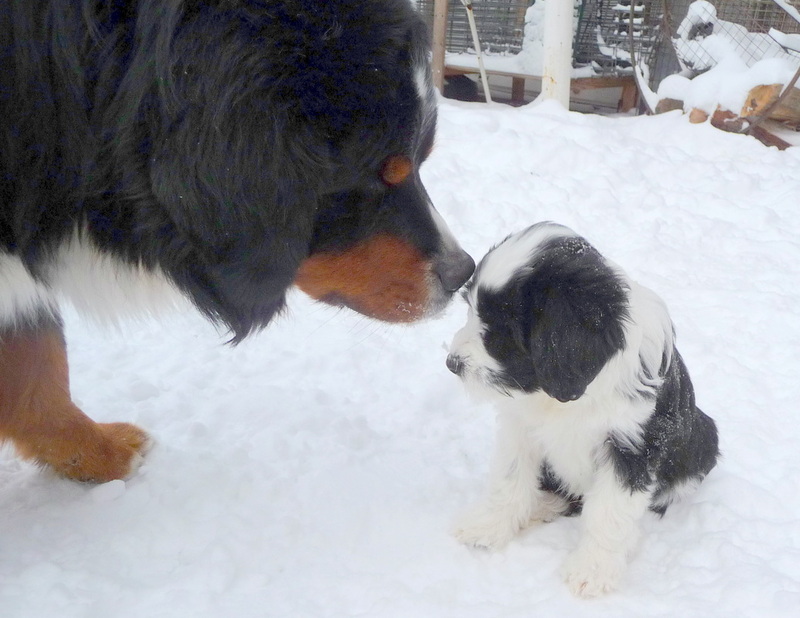 Freak October blizzard hits the East Coast - Stella, (Loui x Faith, 2011) encounters giant snowball! Sierra (Loui x Faith, 2010) & Ben carrying their bags! Sigmund (Zorro x Lara) cheers for his local Washington Redskins team! 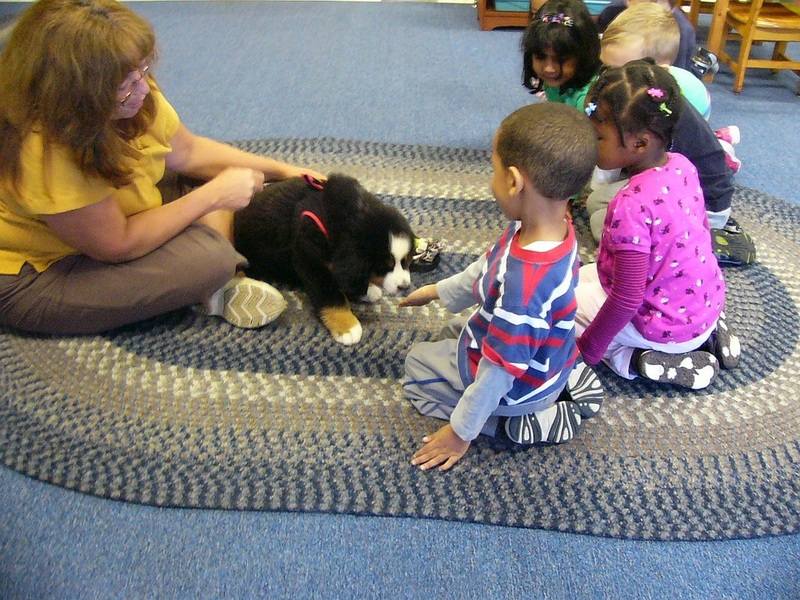 Stella (Loui x Faith, 2011) already a therapy puppy with young school children! Zorro son loves to jump in the tub! Winni Wins! 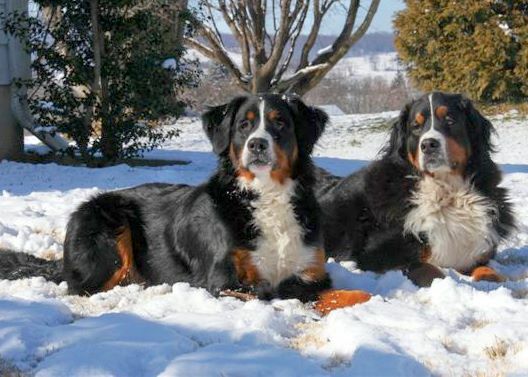 This winsome Loui x Faith daughter's photo, pictured below with her favorite ball, won the People's Choice vote at the annual gathering of members at the Bernese Mtn Dog Club of America National Specialty Show in Del Mar, California, April 8, 2011, out of an entry of over 100 beautiful Berner photos! Congratulations to owner Michele Mercier for capturing this memorable moment! Winni gets her first ribbon at a National Specialty! 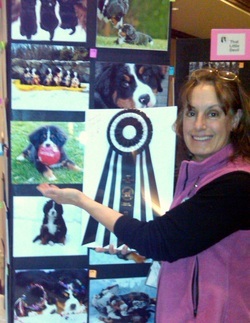 Breeder, Claire Coppola, shown here in Del Mar, California at the Bernese Mountain Dog Club of America National Specialty, holding up Winni's ribbon next to Michele Mercier's photo of Winni with her Swiss ball. Smokie Bear wears Hans' parade harness! 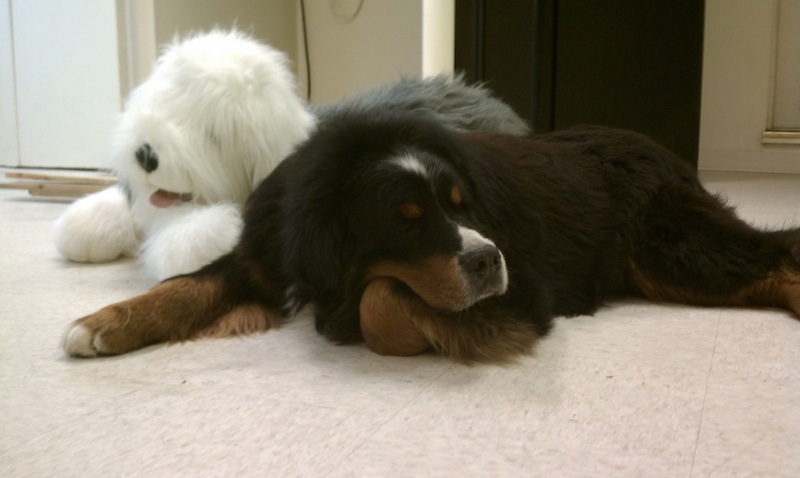 Zorro chillin' out with a BIG stuffed dog. Bette visits nursing home - celebrating 90th birthday! Bette (a senior citizen herself!) helped celebrate the 90th birthday of a family member in August, 2010. She pulled the wheelchair down the hall of the nursing home, walking alongside on leash, and got pats from many residents and visitors who fondly reminisced about their own pets. 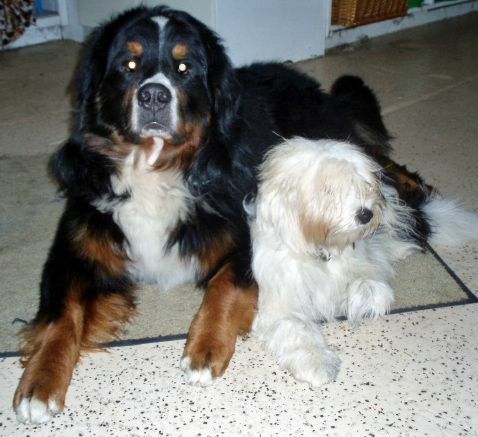 Bette was an AKC Canine Good Citizen and Therapy Dog International certified. 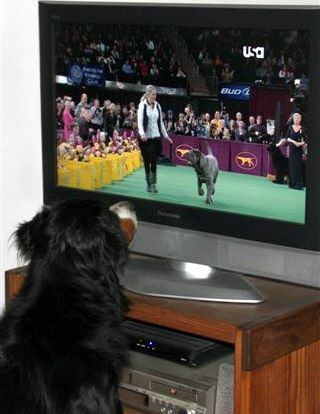 Faith earns her first leg of AHBA Herding Instinct Test, December,2009. 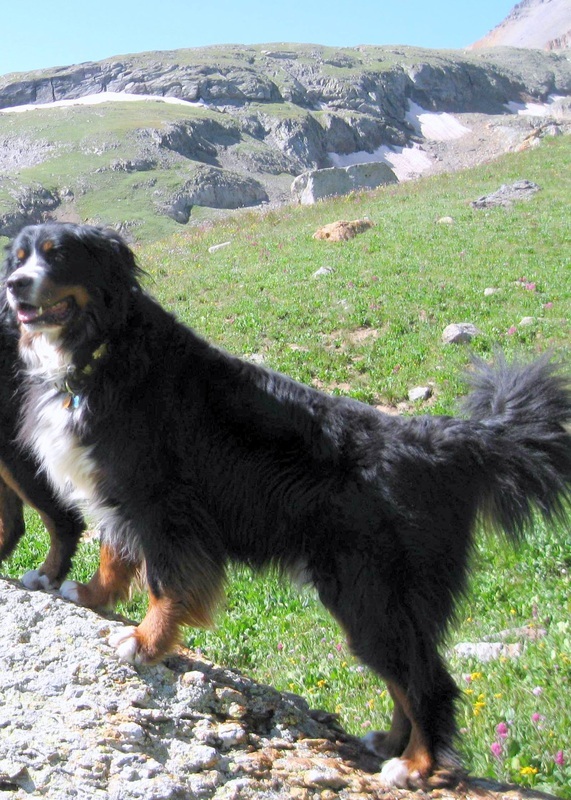 All of my Bernese are herding instinct tested and all but one have passed herding tests. Honestly Mom, the doctor ordered a mud bath! Even puppies like agility tunnels - any weather! Griffin (Rowdy x Annie) enjoying the weather!